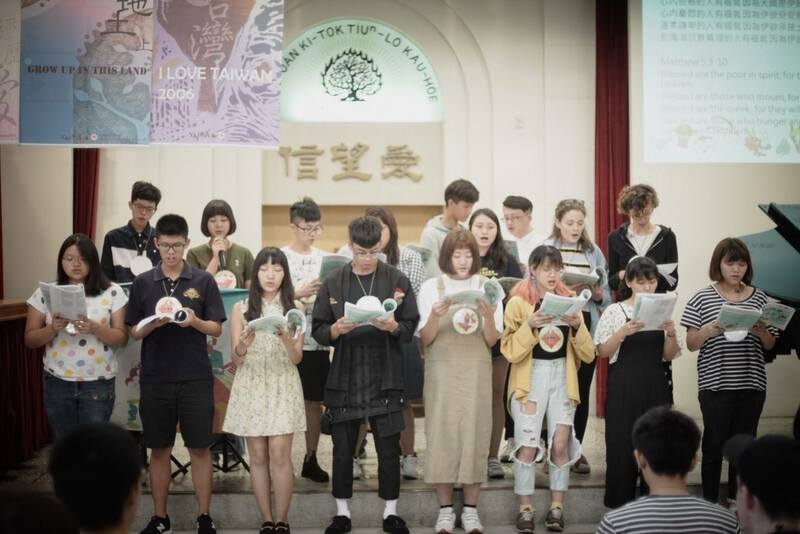 Thursday, 05 July 2018 - we started our day with the I Love Taiwan Mission Opening Worship, which also marked the “official” beginning of the ILT Camp. The PCT Programme Secretary for Youth Ministry, Evangelist LI Sin-Jin took “α The beginning” as his sermon topic, which is the very theme of this year’s ILTM. The spirit of the theme perfectly guides ILTM. During the opening worship, we also prayed together the words of the PCT Youth’s Prayer – Let Taiwan Soar in Love - and Evangelist Li’s wonderful message helped set the mood and spirit for us. Off to a wonderful start – we hope the ILTM participants will experience many new things during this mission encounter. Donnerstag, 05. Juli 2018 - wir beginnen unseren Tag mit dem „I Love Taiwan Mission“-Eröffnungsgottesdienst, dem offiziellen Beginn des ILT-Campes. Der PCT Minister für Jugendarbeit, Evangelist Sin-Jin Li hatte „α-the beginning“ als Hauptthema, das Thema des diesjährigen ILTM. Während des Eröffnungsgottesdienstes beteten wir gemeinsam das Jugendgebet der PCT: „Let Taiwan Soar in Love“ und die wundervolle Botschaft von Evangelist Li brachte uns in die richtige Stimmung. Nach einem tollen Start hoffen wir, dass die Teilnehmer des ILTM durch die Begegnung in der Mission viel Neues kennenlernen und einzigartige Erinnerungen sammeln können.